Bamboo Cones come in a variety of sizes, you can buy large, medium or mini cones. You can enhance any food display or buffet by showcasing unique cones on them. Bamboo cones are created from durable and sustainable bamboo material. This means that they are strong and hold up amazingly in any type of food environment. 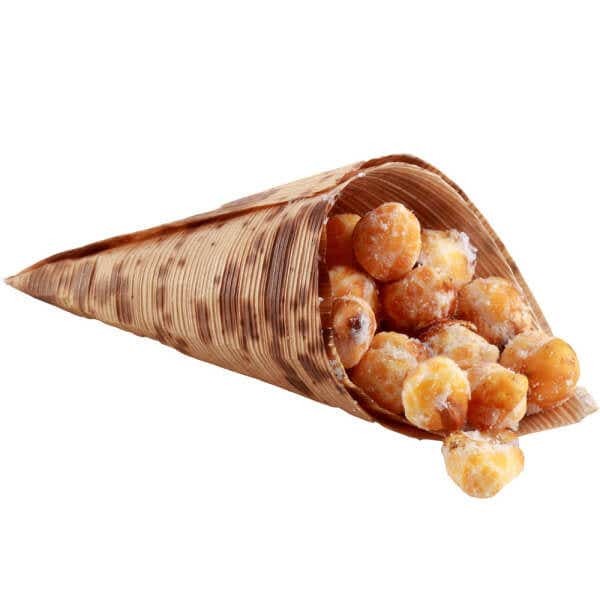 You can fill bamboo cones up with candies, donuts, peanuts and so much more. Many people use bamboo cones as a french fry holder, which is certainly a cool idea. Bamboo cones are eco-friendly, which means you help out the environment by using these bio-degradable products. You can fill cones up with non-edible items like flowers to create unique centerpieces at weddings or other special occasions. Bamboo cone stands can be used to hold your cleverly crafted edible and non-edible cone treats. 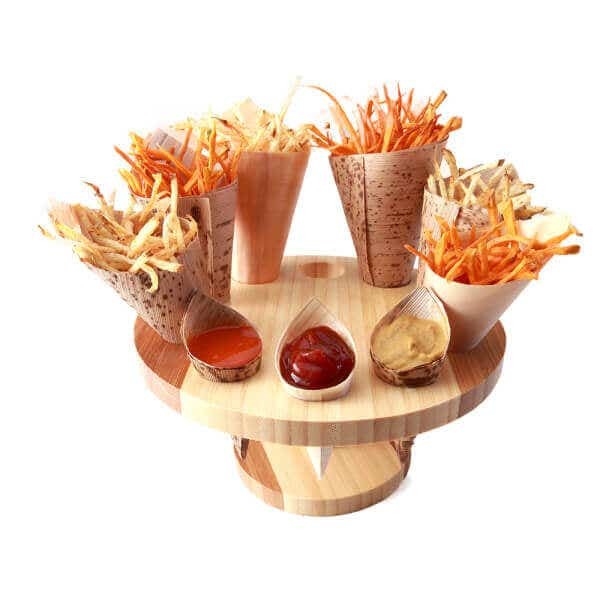 Let this bamboo cone stand become your fry serving tray. Bamboo cones and stands add just the right touch to any kind of food gathering, all you have to do is order them, then use your imagination to create the ultimate food experience that everyone you know will enjoy all year long.